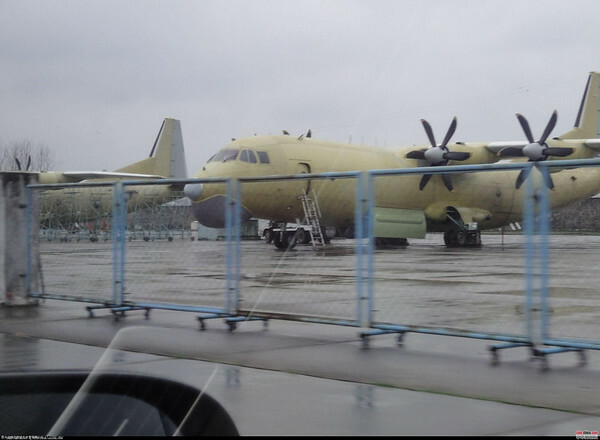 Photos have appeared on the internet of a new Chinese Maritime Patrol/Anti-Submarine variant of the AVIC-Shanxii Y-8F-600, a modernized version of the Y-8 transport, which is itself a clone of the Soviet/Russian Antonov An-12. The photos seen so far appears to show a weapons bay, chin-mounted surface-search radar, Electro-Optical/Infra-Red (EO/IR) turret immediately in front of the weapons bay and a Magnetic Anomaly Detector (MAD) boom on the rear fuselage, which does not have a cargo ramp. Aviationweek's Bill Sweetman has a little more about this on his blog, as has Feng on http://china-pla.blogspot.com/ which has more photos of the beast(s).